Sponsoring an Australian Association event or activity enables you to reach a large expatriate population. We actively campaign to newly arrived expats welcoming new members and friends from diverse backgrounds and countries. 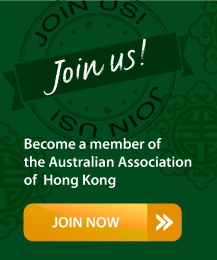 Our membership base has a healthy level turnover each year which is indicative of the high level of new expats arriving into Hong Kong on a regular basis. These new expats have little or established brand loyalty and typically have high disposal incomes making them a great target audience for your products and services. We have strong long term retention within our membership making the Association a great place to reinforce and remind your market of what you have to offer. Each year there are a myriad of different sponsorship opportunities available to suit all budgets and geared to various target audiences. For more information on the opportunities available, please don't hesitate to contact us to discuss what's right for your company, ask questions and sign up! You can email our Marketing Manager.